Once again Martello Rotary are organising their sponsored challenge in aid of British Heart Foundation on Sunday, 11th June 2017. The courses are similar but not identical to last year. The 20 mile will lead you across the Downs to Firle, along the Coach Road to Alfriston and then back across the Downs to Norton and Seaford. The 30 mile is similar but includes an extension across the Ouse Valley to Telscombe and a tough climb back up Itford Hill to rejoin the 20 mile route. Let’s hope that the weather this year is slightly better than the rain and gales we enjoyed in 2016. We have heard that two of Mr Cycles’ mechanics will follow round the course and help with any breakdowns that may have occurred. This event, now in its 7th year has so far raised over £80,000 for its nominated charities since 2010. Pedal in Preston Park (Pedal) was created by the family of Rachel Evans-Milne following her death in 2009, aged 44, from Motor Neurone Disease (MND). The first Pedal took place in the autumn of 2010 hosted by Preston Park Youth Cycle Club (PPYCC) and supported by VC Jubilee. Since then it has established itself as a great addition to the local fundraising event calendar. Cycle Seahaven are totally supportive of this event and urge our members to book online with Eventbrite to participate in this worthy fundraising day. 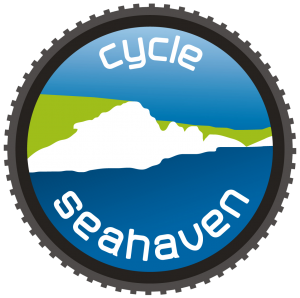 We have over 100 Cycle Seahaven Jerseys out there and it would be good to see many of you sporting our colours for such a good cause.